It's been a while since since I uploaded a photo on colorchallenge. I will attribute that to the fall of cryptos which have lead to low posts on Steemit platform. Okay. 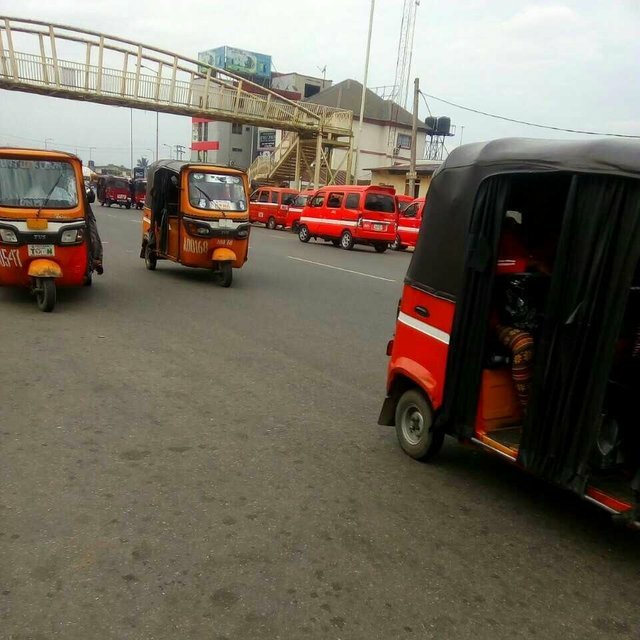 On this image is an image of road commercial users on a normal day in the beautiful city of Uyo, in Akwa-Ibom state, located within the southern region of Nigerian. I took this picture specifically in front of the prestigious University of Uyo, Nigeria for Tuesday Orange on colorchallenge photography. You can be part of this photo challenge so long as you have your original photos.